A new study published in 'Contraception' suggests the number of low-income women using birth control pills would jump if they were covered by insurance and made available without a prescription. About half of all pregnancies in the U.S. are unintended, and low-income women are more likely to have an unintended pregnancy. 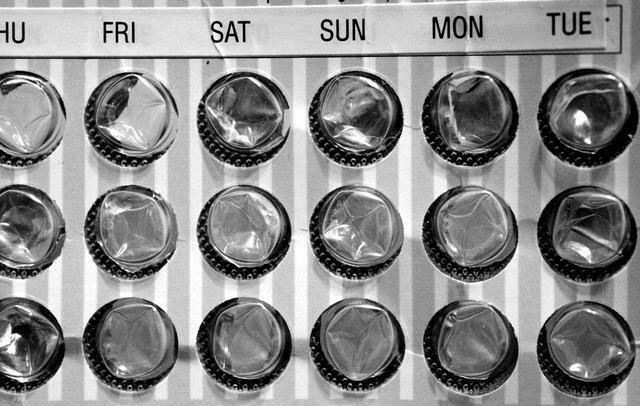 A new study suggests that if birth control pills were covered by insurance and made available over the counter, the rate of unintended pregnancies would drop anywhere from seven up to 25 percent. The study, published in the journal Contraception, found that the number of low-income women using birth control pills would jump between 11 and 21 percent if they were both covered by insurance and made available without a prescription. Dr. Dan Grossman, vice president for research at nonprofit Ibis Reproductive Health, is one of the authors. He says that while the Affordable Care Act requires most private insurers cover FDA-approved contraception, insurers may require a prescription. "So in some ways that kind of undermines whatever increase in access we might expect by making the method available over the counter because women still need to get a prescription in order to get it covered by her insurance," Grossman says. "So it doesn’t really make any sense." The research is relevant for Texas. Grossman worked with professors at the University of Texas at Austin and at El Paso researching women who were getting pills over the counter in Mexico. "Either way they’re going themselves or they’re sending friends or family to get the birth control or they’re having it sent to them because they’re facing obstacles to getting contraception easily in clinics in Texas," Grossman says. Professor Joseph Potter at UT Austin says to make birth control pills available over the counter, you’d need a company to propose doing it. "Part of the problem here has been getting a company to make such an application, and the drug companies that are major suppliers of contraceptive pills have an interest in the status quo of how the system works now," Potter says. Bottom line, the researchers say, if a future over-the-counter pill isn't available at an affordable price, then the rate of unintended pregnancies won’t change much.